Fans of Ann Leckie’s science fiction will surely enjoy her latest novel The Raven Tower, breaking the trend of space opera with a fantasy setting reminiscent of ancient Mediterranean civilization. Leckie utilizes a unique narrative structure to intertwine two seemingly separate stories; one a Shakespearean tale of empire and betrayal, one the life story of an ancient god. 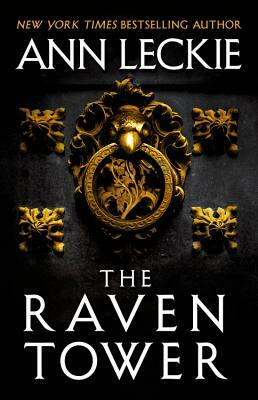 The Raven Tower tells the reader a gripping tale while simultaneously establishing an intricately detailed fantasy world for it to rest upon. Gods meddle in the fates of men, men play with the fates of gods, and a pretender must be cast down from the throne in this masterful first fantasy novel from Ann Leckie, New York Times bestselling author and winner of the Hugo, Nebula, and Arthur C. Clarke Awards.